I think it's fun that square neck scarves are trending again, I have a small collection that belonged to my grandma as well as some I picked up at a thrift store in high school, when I definitely did not wear them. It's strange to think I'd buy something with no intention of wearing it, but just because it was made of silk and pretty, I assigned it value. A couple years ago I started tying them on my purses, still not believing I could 'pull it off' around my neck. But if I've learned one thing over these near ten years of blogging, it's that I can 'pull off' anything I want as long as I believe it. I can't give myself alone credit for that belief. 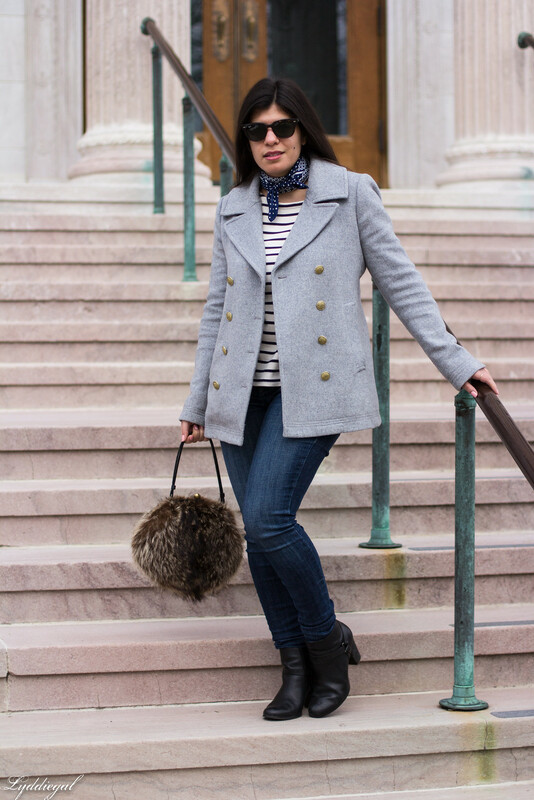 It is only through seeing other bloggers wearing pieces with confidence and beauty that I am able to see the same for myself. It is a powerful thing. 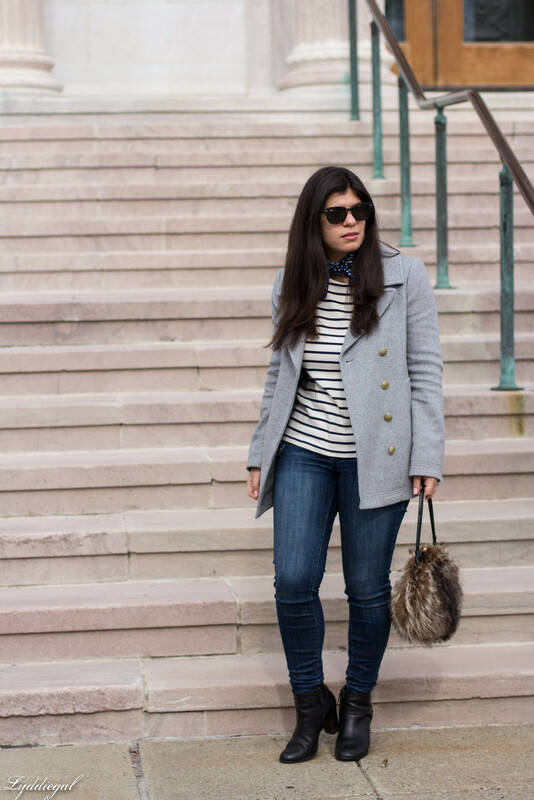 Is there anything another blogger has inspired you to wear or try? I'm glad I wasn't the only one who bought and acquired silk scarves in high school with no intention of actually wearing them...! I did somehow make one into a belt once, I think it was on the first day of twelfth grade. Thinking back now, I genuinely have no idea how I managed to get it around my waist. Later one, I tried tying them to my purses for a while, but always found they got dirty that way. 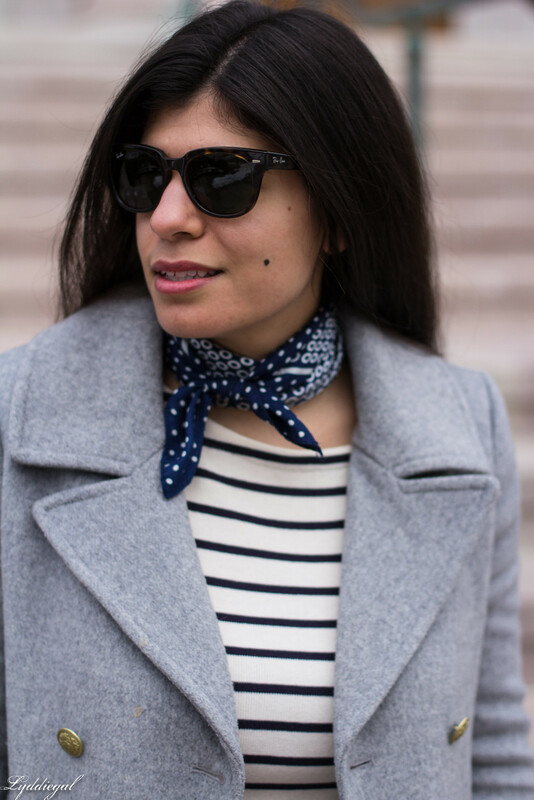 The neck scarf trend, however, is one I like on others but can't ever imagine trying myself. 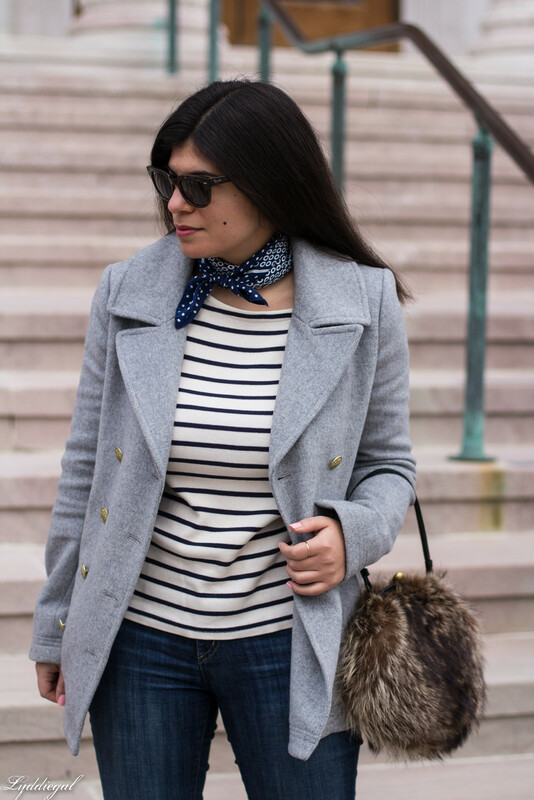 I have been seeing other bloggers tie silk scarves onto their ponytails, though, and I admit that look does intrigue me. 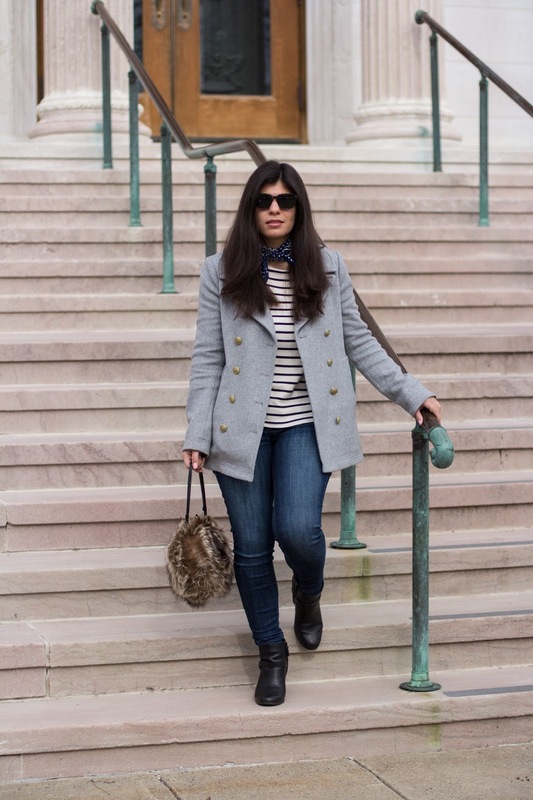 I adore the neck scarf! I have one and have yet to wear it because it's always hot here! So true, blogging made me start wearing red lipsticks and now I'm obsessed. I love this look. I've never tried a scarf like this but I have a small collection of them from my grandmother and think that maybe you've inspired me to give it a try! And you totally can pull it off! I can never seem to tie scarves correctly to wear like this so I stopped trying, hah! I'm sure there are some blogger things I've tried after seeing them soooo many times, but I can't think of what they are. I need to try this trend! You are so right about just having the confidence and belief that you can pull it off! Whenever I try it, I feel like I look like a flight attendant, but that is probably just me being too hard on myself! I love how it looks on you! Well you're totally inspiring me to try the square neck scarf. And I've been into the fanny pack/belt bag look that bloggers are doing as well. I think you are totally pulling off this look! 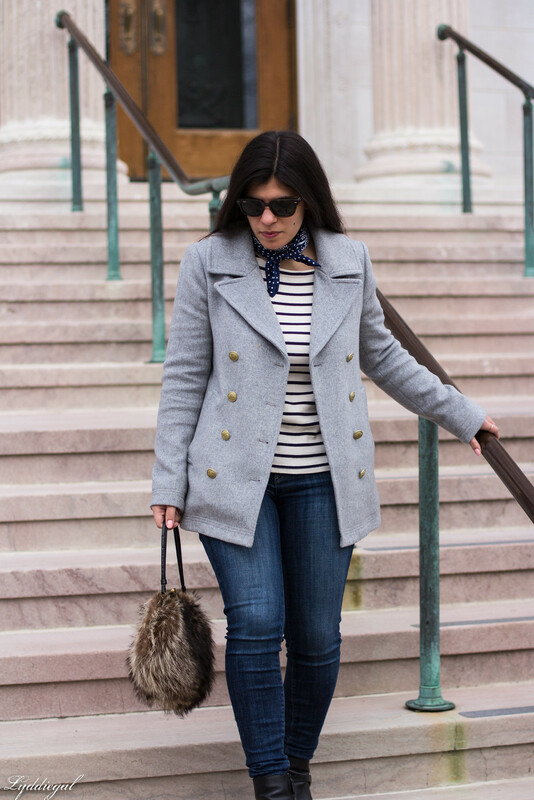 I tried this scarf "trend" (if you can call it that--it's pretty classic) recently and didn't think I liked it on me, but the way you have yours tied here with the short ends makes me want to try again. So yes, I am constantly being inspired by other bloggers! I totally agree...it's quite powerful to see other women wear some trend and rock it, to make us realize that we too can wear the same thing. I have loved this trend in the last year or so. To me it seems so sophisticated and elegant. I love how you added the neck tie. It's a little reminder that spring is coming, even in the dull of winter. Thanks for sharing this cute look! 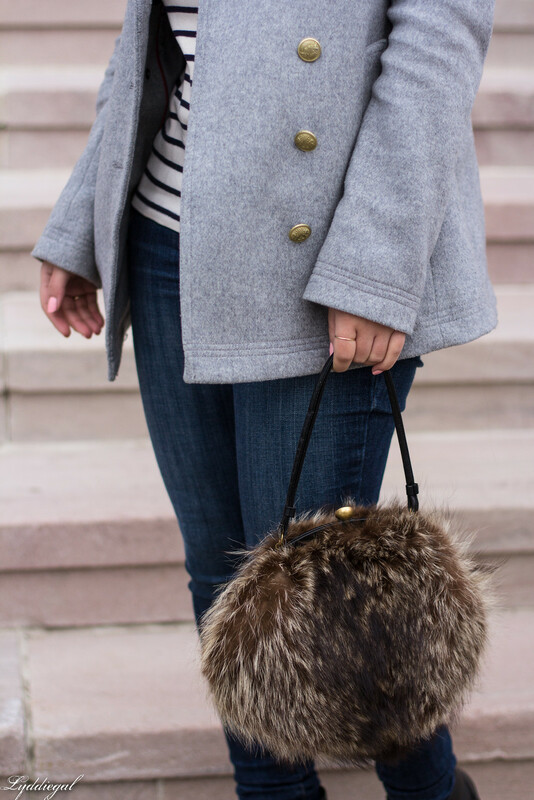 Answering your question: YES I have been so inspired by so many bloggers to push the envelope and wear items in a certain way or wear certain items that I never thought I'd wear.